This lacy headband is a cool and stylish way to keep your hair out of your face in the hot summer months. The open lace allows the air to circulate while keeping the hair back. The lace also helps to give it more stretch. 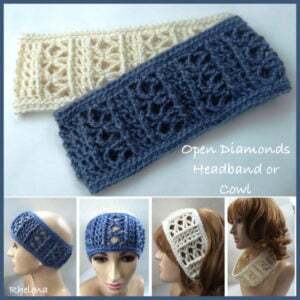 Wear this stylish headband with long or short hair; with or without a ponytail. 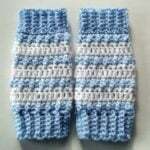 The pattern provides instructions for two different sizes, as well as how to modify it for any length. When laying flat, the smaller size measures 9″ across and the larger size measures 10.5″ across. 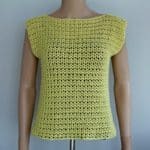 Also, because it’s so easy to adjust in length, you could crochet up a long cowl or infinity scarf. The choice is yours. 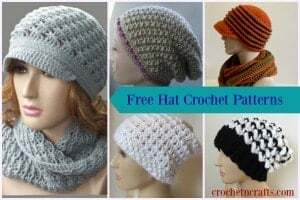 If wearing it as a cowl you might want to block it, but as a headband it stretches nicely into shape. 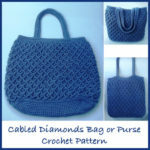 For this pattern I used Red Heart Soft Touch yarn and an H/8-5.00mm crochet hook. However, any similar yarn will work just as well.